Australian foreman seemed to be a bit stressed out as he addressed me in a somewhat agitated manner: “Mr Bartley, I am after asking fourteen countrymen of yours to make me a mould for a sill and they’ve all told me they’ve never done it. Would you be able to give it a shot?” “Yes”, I replied, “I’ll be able to do it if you get me the right materials.” I made the mould and concreted it in an artistic way. Sometime later the architect arrived back, delighted with my efforts. “Lovely job,” he said, “real class. We do not get it that good out of the factory.” Three weeks later the foreman offered me the position of section foreman on a big hospital job that the company were undertaking in Bristol but by that stage I was tired of England and had it in my head to return home and go into the contracting business. The mould I had created was a regular feature in Jack Feehan’s workshop in Leenane in the 1950s, the place where I served my apprenticeship and learnt my trade. It was always my ambition from a very young age to be a carpenter. I was always of the opinion that it would be a far more interesting occupation than office work or one of the professions. I always figured I would have some end product to satisfy me after a day’s work. I would know exactly what had been achieved, unlike so many other types of work where it must be so frustrating not really being able to measure one’s progress. 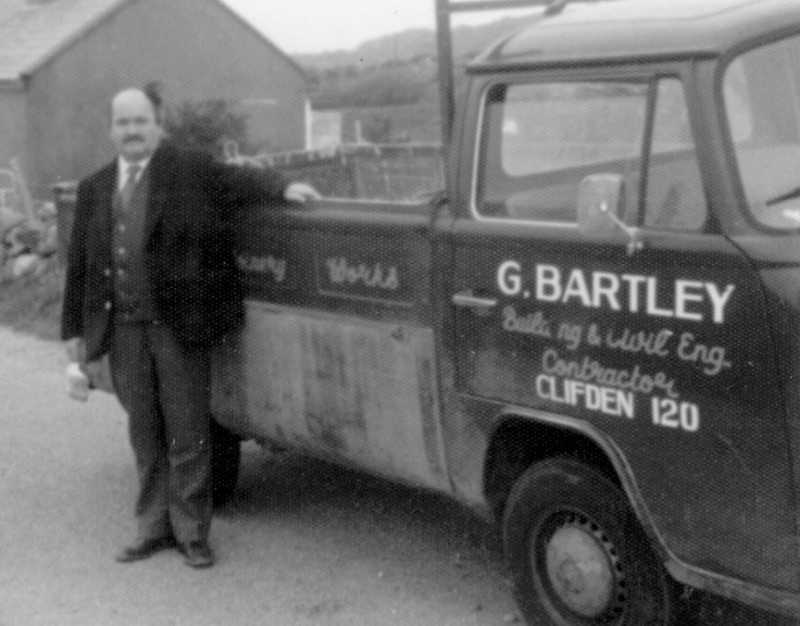 My Uncle Gerald once said to me “If I could start life out again, I’d be a tradesman too. I was in academics but being a tradesman is a great life because at the end of each day you can see the fruits of your labour. Jack Feehan was an old colleague of Gerald’s from the Anglo Irish War and when Gerald asked him if he would take me on as an apprentice in his workshop he was happy to oblige. He gave Gerald an extensive list of the general tools required in carpentry and Gerald bought these for me in McDonagh’s in Galway. It cost him £6 altogether, a substantial amount of money in 1952, and a very generous gesture to a sixteen year old boy who was determined to prove to himself and his sponsor that it was money well invested. My apprenticeship was to last four years. I received £1 a week the first year, 30 shillings the second year, £2 the third and 50 shillings in my final year. Room and board were free of charge. I stayed in Jack’s house for the duration of the apprenticeship. There was the usual strictness on tidiness. I was expected to be in at a regular time each night and any laziness about getting up early in the morning was not tolerated. I was up every morning at 7 a.m. to be on the job by 8 a.m.